This was the most fun week of the challenge *yet*!! I had a great time with my sweet girl. She isn't really old enough to realize that we were having more fun that usual, but it made me smile inside and out when I heard her sweet giggles and saw that toothy grin from ear to ear! 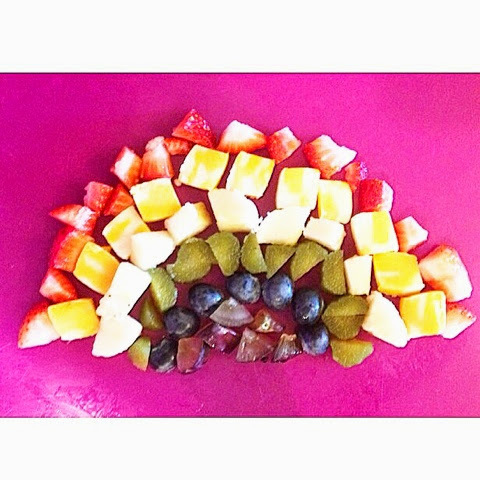 Monday, we did a rainbow snack picnic. Simple as that. I didn't go buy anything special, I just cut up what I had in these colors during her nap and put it in the shape of a rainbow. Then we picnic'ed on the backyard grass on a quilt. Perfection, if you ask me! 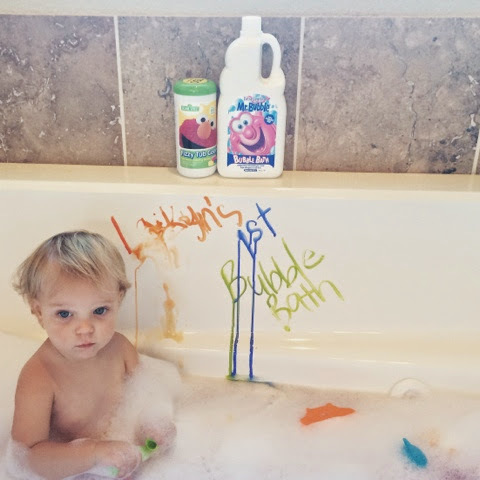 Tuesday, we bubbled and markered in the bath. She LOVED this. I did buy some bubble bath, color tablets and markers for this day. I spent less than $10 on it all, and we use it all of the time now! 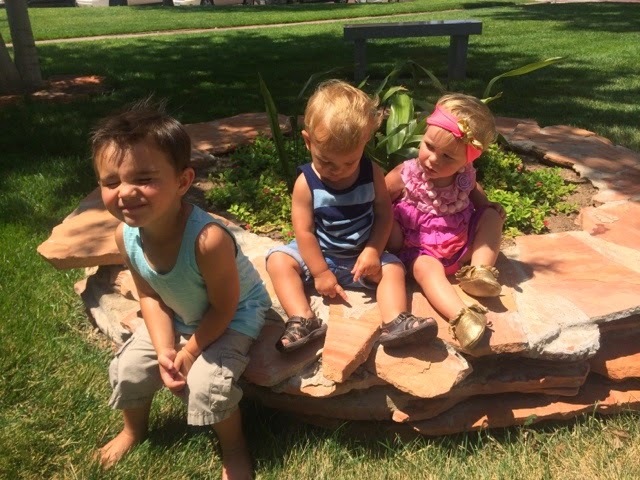 Wednesday, we met friends at the park for a picnic and music playdate. Check your local calendar of events for fun days like this in your area. Thursday, we were sick. Wamp wamp. 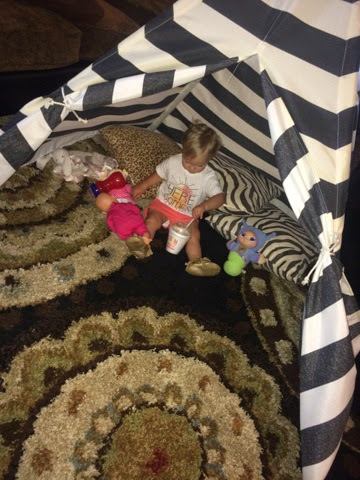 But, I set up her tepee in the living room and we ate ice cream and watched Lilo & Stitch. Well, I did, while Laiks just wallered on me. Friday, we did sidewalk chalk and popsicles outside. Simple and fun. Saturday, I set up stations in her playroom. Kind of like kindergarten centers, but more for like Laikyn sized-lets drag everything out-knock everything down-eat something that we shoudn't-make mommy clean up type centers. Ha! Sunday, is church day. We went to church and had a normal day, but ended our day with a playdate at a friends house and lots and lots of Oreos. I didn't do anything huge this week. I just became mindful of making each day have something fun and out of the ordinary schedule. It was a great week! Here are some links that I've found for ideas of making your child's day more fun.